Today is January 6. It is Epiphany; the end of the 12 days of Christmas. It is the day we remember the magi from the east coming to visit baby Jesus in Bethlehem. Today we celebrate that Jesus came not just for the Jews but also for us Gentiles. In our Gospel reading this morning we hear about the magi and Herod the Great and the scribes and chief priests and Mary, Joseph and the infant Jesus. This is a familiar text but sometimes in the familiar texts there is a temptation to tune out and not dig into the details. This text has so much going on and so many kings. We have King Herod who is King of Judea. He lives in the palace in the capital city of Jerusalem. He has lots of advisors and servants and soldiers at his disposal. Now this world is fascinated by people who have temporary power and authority. People that are here one day and gone the next. We are impressed with the trappings of power; wealth, control, intrigue. But the people and things that we are impressed with today are like the flowers in the field that bloom one day and are dried up and blown away by the wind the next. King Herod the Great was a shrewd politician who served at the pleasure of the Roman Emperor. Herod was first allied with the Roman politician Mark Antony who was a supporter of Julius Caesar. Antony married Octavian’s sister but still carried on a love affair with Cleopatra which caused Antony to lose power as Octavian becomes emperor. Octavian is then known as Caesar Augustus who we hear about in the Christmas readings. Herod had to do some tricky maneuvering to move from being allied with Mark Antony to being accepted by Octavian. Herod was called king, but he is just a vassal for the Roman emperor and he had to work hard to please the right people. He was also always on the lookout for threats to his power and authority and many times resorted to murdering his enemies and even family members in order to hold onto his throne. What kind of king is this? Then we have the visitors from the east. The wise men, the magi, the three kings. These mysterious figures have perplexed Biblical scholars since they showed up in Jerusalem. We know the song, “We three kings of Orient are….” Epiphany is called Three Kings Day among Hispanic cultures. In Germany people still write the three letters C, M and B over their doorways for the traditional names of the three magi, Casper, Melchoir, and Balthasar. Children dress up as kings and carry a large star and go door to door caroling and singing a three kings song. Magi? Sages? Wise men? Kings? We really don’t know too much about these folks. The idea of them being kings comes from Psalm 72:10, “may the kings of Sheba and Seba bring gifts.” We sing “We three kings,” but we aren’t really sure there are three of them, just that three types of gifts were brought. We don’t know where they come from. Maybe modern day Iraq, or Iran, or India, or somewhere else. We call them the wise men, but they apparently weren’t too wise because instead of going to Bethlehem, they miss it by six miles and go to Jerusalem where they alert blood-thirsty Herod that there was someone else claiming to be king of the Jews. Herod then tries to use the magi to locate the newborn king and report back so Herod could go and “worship” Him…with his sword. The three kings, the wise men, the magi, whatever we call them, are, to this day, mysterious characters. They are surely Gentiles, non-Jews, and we rejoice that Jesus has come for all people, including us. We celebrate that Jesus is not only King of the Jews, but King of all. Jesus’ birth is marked by the appearance of an unusual star and these magi from the east follow that star to find the king they seek after so they can give Him gifts and worship Him. 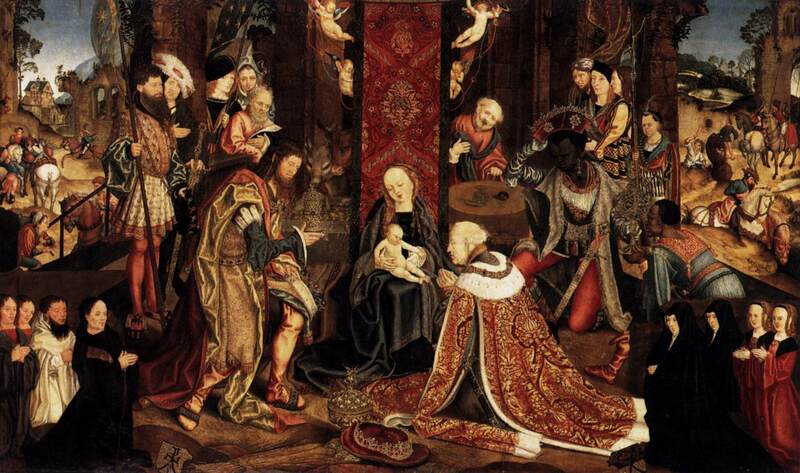 The ones called the three kings believe they are worshipping a king, but what kind of king? They bring gifts fit for an earthly king to the infant Jesus but do they know that they present them to the infinite God almighty in the finite flesh of a child. We do not know if they realize as they bow down to worship that they are worshipping at the feet of God. Kings. Kings everywhere, but only one has true power. And it is the one you least expect. It is not Herod the Great. It is not the mysterious sages from the east. It is the little boy in Bethlehem no more than a year or so old. A star appears and reveals the birth of Jesus to the unlikely magi; the astrological wizards from the east. They follow the star seeking the one born king of the Jews. They may not fully understand who Jesus is, but they do come to worship Him. Herod the Great learns about the birth of Jesus from the magi. Herod is an unlikely person to care about the birth of a child in the little town of Bethlehem. And yet, while he does not fully recognize who this child is, He believes the birth to be significant enough to be a potential threat to his throne and Herod tries to have the baby boy assassinated. The likely people to care about this baby born king of the Jews would be the religious leaders in Jerusalem; they should certainly understand. But they don’t. The Chief Priest and the Scribes should recognize the greatness of the coming messiah, but they ignore him. When called on by Herod to consult, they relate what the scriptures say about where the Messiah is to be born, but they don’t go along with the magi to worship the newborn king. The can recite the scriptures, but they are not interested in the possible coming of the Messiah. They know the words of scripture but they don’t really believe them, and so they do not go to Bethlehem. There are a lot of folks today who claim to be Christian and can even recite scriptures, but they don’t know Jesus. They are far from Bethlehem. There are many who use the Bible just as a tool to get what they want or justify their actions. Politicians on the right and the left like to cherry pick Bible verses to try to show God is on their side; regardless of the issue. There are a lot of people who have heard about Jesus, but do not recognize who Jesus is. They know the words of the Bible, but reject the Christ. They are far away from Bethlehem. There are a lot of very smart people who believe they know better than God. They have God’s Word given to them, but they demand to take authority over God’s Word. They will determine what is right and wrong for themselves. They try to usurp authority from God so they can be in charge. We see this in people rejecting anything in the Bible that is contrary to their own desires and we see it in people taking authority over life and death. We see this clearly in our nation’s horrible practice of abortion on demand. God creates life in the union of a man and a woman and people are adamant that they have authority to end that life because it threatens the parents’ position in life. We are tempted to be like King Herod who believed it to be appropriate to try to kill a baby if the baby was a threat to his power. But we do not have that authority. We do not have the authority to make our own rules; we do not have authority to take a human life. We are not king. On this day of the Epiphany, the revealing of Jesus to the Gentiles, and throughout the year, let us humble ourselves and go to Bethlehem. Let us meekly go to Bethlehem and worship the King, Jesus, and recognize who Jesus truly is. He is a teacher, but not just a teacher. He is a healer, but not just a healer. He is a prophet, but not just a prophet. He is the King of the Jews, but not just of the Jews, He is king of all people. Jesus is King of creation. Jesus is God incarnate. God in flesh. Jesus, the baby in Bethlehem. Jesus, the Rabbi from Galilee. Jesus, the criminal on the cross. Jesus is God almighty. He is Savior and Lord. He is King of the universe. Jesus is the eternal King. He is your king. The unlikely king is the one who does not act like a king. Jesus does not order others to be killed to protect His throne. Instead He takes His throne on the cross to sacrifice Himself to save others. To save you. Jesus is the unlikely king. Amen. It is hard to even imagine the overwhelming joy that Mary has at receiving this news. She must be just bursting to tell others about what has happened. But I am thinking that the reaction of other people must really be deflating for Mary. 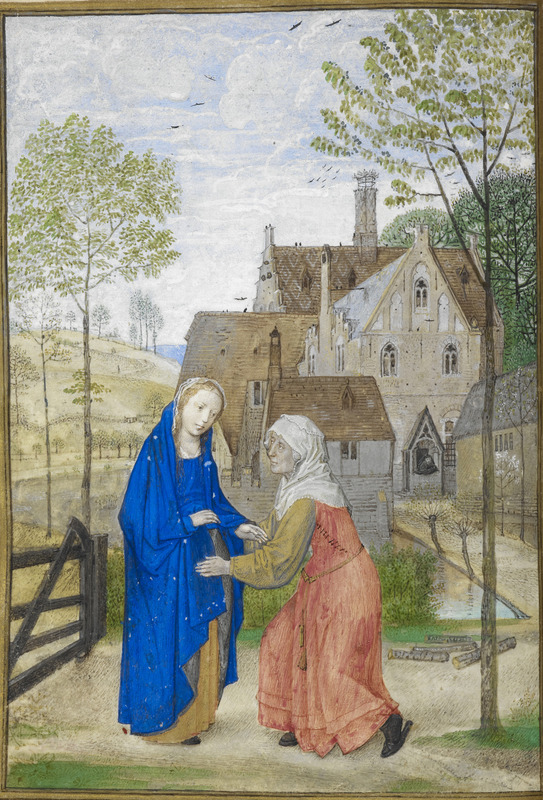 Mary tells this unbelievable good news to Joseph, the man to whom she has been betrothed, and Joseph rejects Mary and seeks to break off their betrothal. The news is truly unbelievable and Joseph does not believe it. An angel appears to Joseph and confirms the good news and Joseph then is able to share Mary’s joy and he takes Mary home as his wife but they are not intimate until after Jesus is born. 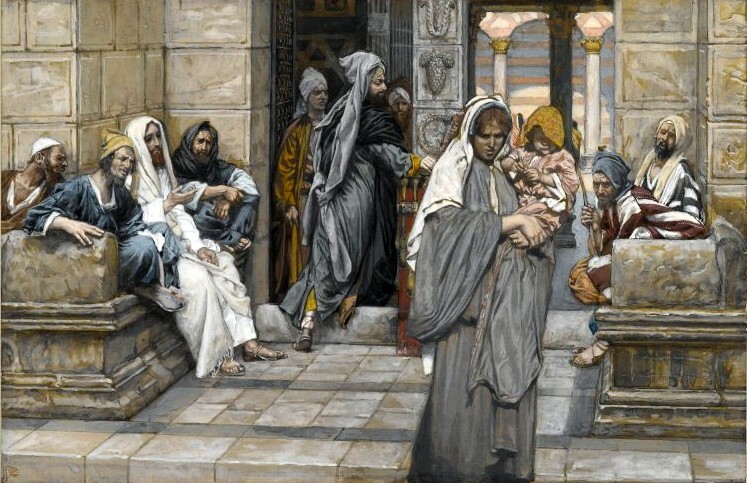 What is the reaction of others in Nazareth to the news that Mary is pregnant? I’m thinking that Mary’s great joy at being pregnant with the Son of the Most High is met with bitter scoffing and rejection by others in town. They all know what “really happened.” Joseph and Mary could not wait, or worse, Mary was fooling around with some other young man in town. Shame, shame, shame. The proud, good people of Nazareth likely look down on poor, pitiful, immoral Mary and her obviously disgraceful behavior. And so here we find ourselves in our Gospel reading today up in the hill country of Judah with these two women who have been shamed; one old and one young, both bursting with joy as the new lives in their wombs are growing each day getting ready to be born. At the sound of Mary’s greeting John leaps for joy in Elizabeth’s womb. The four of them, Elizabeth, Mary, John and Jesus, are all together with no one around to shame them or try to decrease their joy. And Mary’s joy overflows into her song; the Magnificat. In these words from humble Mary from Nazareth we learn that God’s ways are so different from our ways. The whole focus of the song is on the Lord God; God’s strength and God’s mercy. Mary’s whole focus is on God and what He has done for Mary and all who follow the Lord. Mary is blessed because of what God has done for her. Luke 1:46-50 (ESV) 46 And Mary said, “My soul magnifies the Lord, 47 and my spirit rejoices in God my Savior, 48 for he has looked on the humble estate of his servant. For behold, from now on all generations will call me blessed; 49 for he who is mighty has done great things for me, and holy is his name. 50 And his mercy is for those who fear him from generation to generation. In this world we are enchanted by people of power and influence; talent and fame, strength and good looks. We have a magazine dedicated to these people, called People. We are impressed with money and power and beauty. We like to peek in at the lifestyles of the rich and famous. We are told we should aspire to be like them. In the meantime, the world wants you to judge yourself against people with less money, less power, shabbier clothes, not as good looking. The world pushes you to be better than others. To be more admired; more rewarded; more recognized. The world encourages you to believe that it is important to be proud, mighty and rich, and look down on those who are not. Mary’s song turns the world’s desires on their head. God is full of strength and God is full of mercy. Pay attention here to how God uses His strength and His mercy. Luke 1:51-53 (ESV) 51 He has shown strength with his arm; he has scattered the proud in the thoughts of their hearts; 52 he has brought down the mighty from their thrones and exalted those of humble estate; 53 he has filled the hungry with good things, and the rich he has sent empty away. God uses his strength against the proud, mighty and rich. At the same time God mercifully exalts the humble and the hungry. Mary, this humble, young, virgin girl from the small town of Nazareth has been blessed to be the Mother of God. Mary carries Jesus in her womb. God has exalted her in her humble estate. God has exalted you in your humble estate. God did not wait for you to make something of yourself before He gave you the gift of Jesus’ holiness, perfection and eternal life. 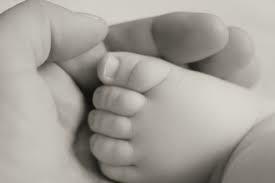 For many of you God lifted you up while you were still a small baby unable to do anything for yourself. In your utter helplessness and humility God marked you in baptism as His own and bestowed on you the Kingdom of Heaven. God has exalted you and filled you with good things. In this success-driven world it is hard to remember that your value does not come from who you are. Your value does not come from anything you have done. Your value comes from what Christ Jesus has done for you. There is great temptation to judge others and their situations. If a young, unmarried woman comes to church pregnant it is tempting to start climbing up on that high horse to look down, but Christians do not belong up there looking down on anyone. Christians are called to love and support; to bring Jesus’ Good News of forgiveness to a world that is hurting and in need of forgiveness and mercy. Jesus is the source of great joy as He reaches into this sin-sick world and lifts you up and declares you to be right with God. This baby growing in Mary’s womb is the sinless Lamb of God being readied for the once and forever sacrifice for sin. The promise that God made to Abraham is fulfilled in Jesus, and you, the adopted children of Abraham have God’s promise given you in Christ. Mary is blessed by God and carries the Savior in her womb. In baptism Jesus blesses you and lifts you up and marks you as His own. As a child of God He fills you and shows you mercy. In Holy Communion you are fed with the Body and Blood of this same Jesus. You have been given forgiveness and eternal life. In Christ you can declare with Mary, “My soul magnifies the Lord and My spirit rejoices in God, my savior.” Amen. Be prepared. Do the right thing. We have made it to the second Sunday of Advent and now John the Baptist has come on the scene. John is that wilderness prophet who is the last of the line of the Old Testament prophets warning the people to repent. He is in the model of the prophet Elijah and John is foretold by Isaiah and Malachi. John is preparing the way for the Messiah. John is the voice of one calling in the wilderness, he is the one making straight the path for the Lord. John is making mountains low and filling in valleys. John is getting people ready for Jesus to come into place to begin His public ministry and John’s message is harsh. Here you now sit, 2,000 years after John was preaching in the wilderness in order to get people ready for Jesus. Jesus now has already come. He was born in Bethlehem. Thirty years later Jesus had three years of preaching, teaching, healing, feeding and caring for the people. 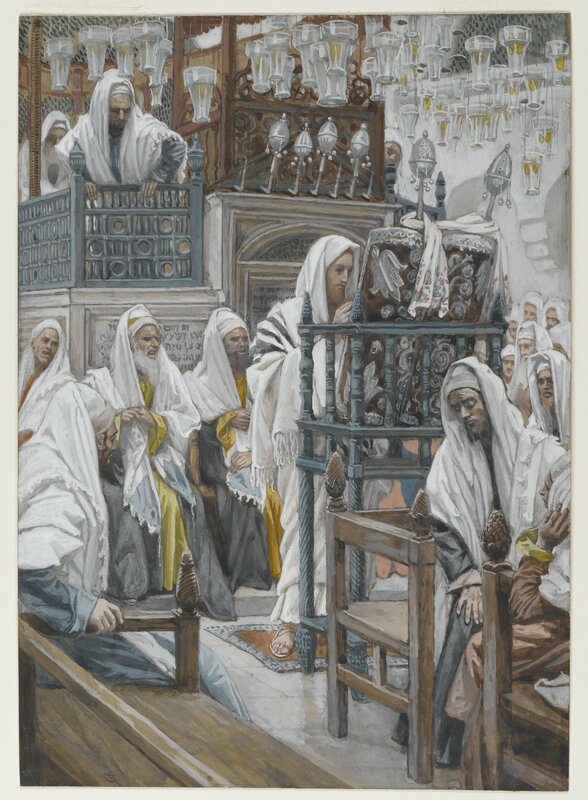 Jesus entered into Jerusalem that first Palm Sunday as a king and by the end of the week had been arrested, tortured, crucified and laid in a tomb. Jesus then rose from the dead and ascended into heaven promising to return. This is the era you are now in; Jesus has come and gone and you are waiting for Jesus to return. This is different from the crowds going out to John the Baptist that day by the Jordan River. You are not the offspring of snakes believing that because you are descended from Abraham that you can live life as if you are a pagan. You do not believe that your ancestry guarantees that you are good with God even while you live a life of evil; oppressing people for your own gain. You are not a brood of vipers. You have been baptized into Christ; you are a follower of Jesus of Nazareth, God in flesh. You are not waiting for the Messiah to come to earth to save you from your sin, but you are waiting for the Messiah to return on the last day to conquer evil forever. Now John’s message of repentance is still valid. You still need to live a life of repentance. You still need to struggle against sin. When you fail and fall into sin you must again repent. You cannot live in unrepentant sin because it will destroy your faith. As a Christian you cannot live as if you are an unbeliever because that is what you will become. Embracing sin is to turn your back on God. To embrace sin is to reject God. You need to reject sin and embrace God. So repent. Have sorrow over your sin and turn away from sin and turn back to God. Reject sin, embrace God, and live life in preparation for Jesus’ return on the last day for judgement. John the Baptist gives his answer. Luke 3:11 (ESV) 11 … “Whoever has two tunics is to share with him who has none, and whoever has food is to do likewise.” Those who have extra should share with those who do not have the basics. It is a call to live generously. Our natural way to live is to live selfishly and worry about what is in it for me, me, me, me? John’s words are a call to live in lavish selflessness rather than miserly selfishness. It is a call to give to others in need. 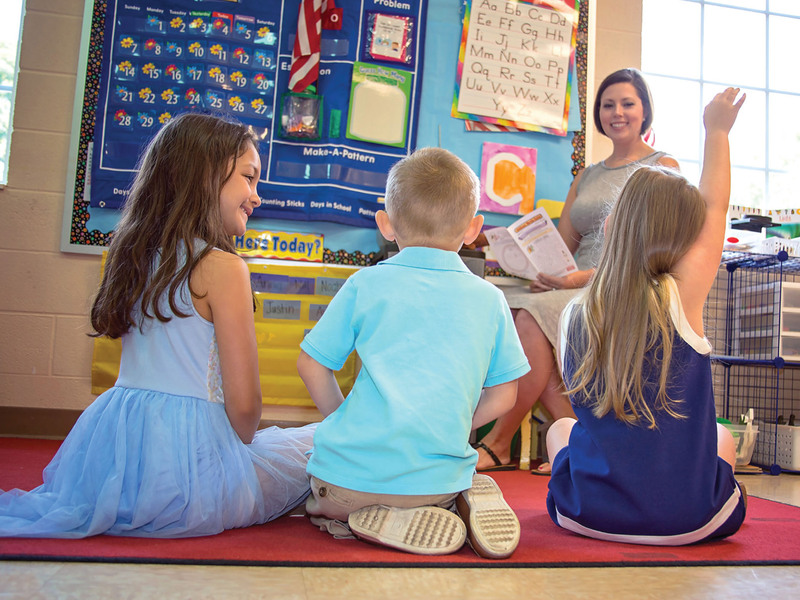 If you are a teacher, what should you do? Teach well and love your students. Put in the time to do the necessary preparation and grading. Be patient and kind. 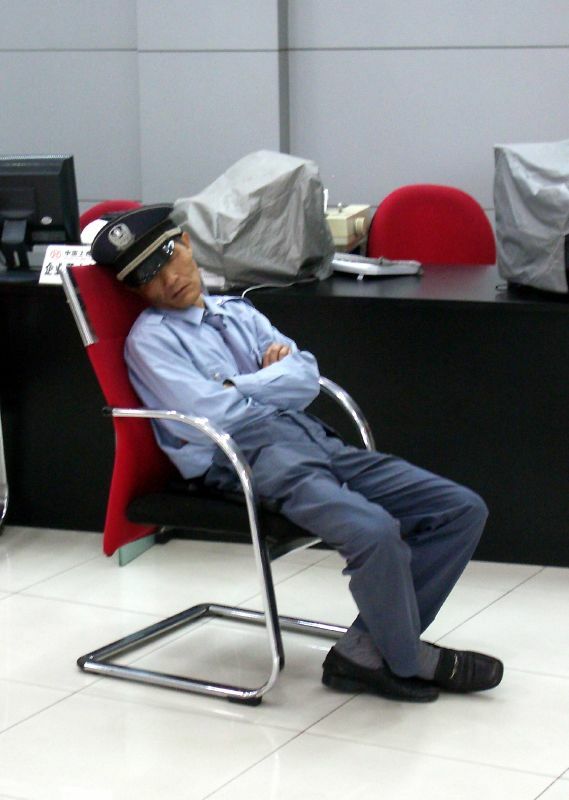 If you are an insurance sales person, what should you do? Sell people the right coverage based on their needs and not on what has the highest commission. If you are a worker in a restaurant preparing food, what should you do? Wash your hands well and prepare food properly in a clean, sanitary environment with fresh ingredients. If you a pastor, what should you do? Prepare well for Sunday worship. Put in the needed time on the sermon. Visit the sick. Care for the people. Don’t waste time or money. If you are a student, what should you do? Do your homework. Prepare for tests. Put in the effort to learn the material and don’t cheat or take shortcuts. If you are a husband or wife, what should you do? Remain faithful and committed to your spouse. Love, honor, keep and cherish them deeply. Don’t flirt with others. Don’t complain and find faults. If you are having trouble, work on the trouble. We could go one for another half hour of various vocations and what to do, but instead let’s sum it up. In whatever it is that you are doing, do it well and do it honestly. Do it like a baptized child of God should do it. Don’t cheat. Don’t steal. Don’t complain. In this life there are is a great deal of temptation to take shortcuts; to be lazy; to take bribes and kickbacks. There is temptation to complain about your situation, your boss, your teacher, your wages, your life. Instead, be content in whatever your situation and stay prepared for Jesus’ return. Jesus is going to return and you don’t know when, so how do you prepare? Should you retreat up to a mountain top and start a commune? Should you get rid of all your earthly possessions and become a monk? No. That is not what John the Baptists says to do. John says you should do what you should be doing. In your life, with you being you, do the right thing because it is the right thing. Follow the Ten Commandments because God tells you to follow the Ten Commandments. 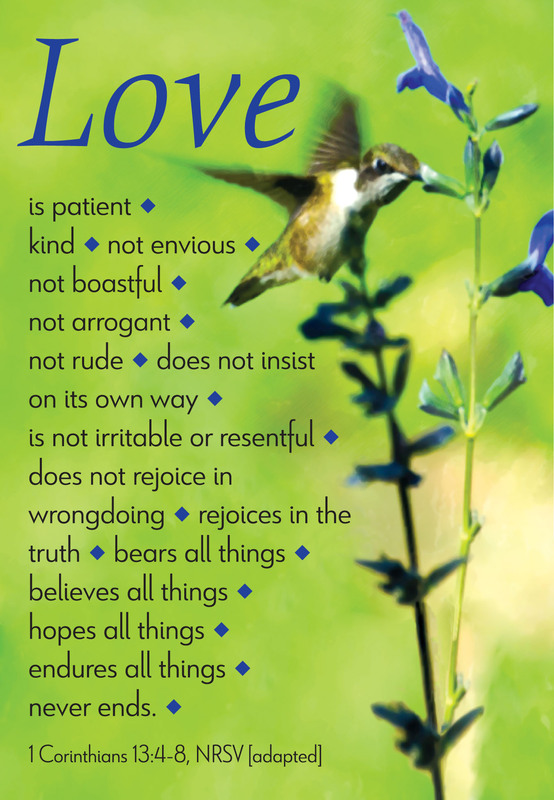 Love God and love your neighbor. Do the right thing, not in order to earn God’s favor, but because you have already been redeemed by God through the blood of Jesus. Appropriately the second candle on our Advent banners say, “Prepare!” So, as the Boy Scouts used to say, “Be prepared!” Stay in Christ. Stay connected to His Word and Sacraments in the church. Do what you are supposed to be doing. Do the right thing because it is the right thing because you have been made right in Christ. Jesus is coming into place for you. Happy New Year! We have made it to the beginning of another year on the church calendar. The paraments have changed to blue. The candle wreath is up and one candle is lit. We have left the 27 Sundays after Pentecost and entered the season of Advent. This is a season of anticipation. Advent means, “A coming into place.” In Advent we look forward to celebrating Jesus’ first coming into place as a baby in Bethlehem and, at the same time, we look forward to Jesus’ last coming into place on the judgement day. Today’s Gospel reading looks at yet another Advent of Jesus; Jesus coming into place in Jerusalem on Palm Sunday in preparation for Good Friday and Resurrection Sunday. 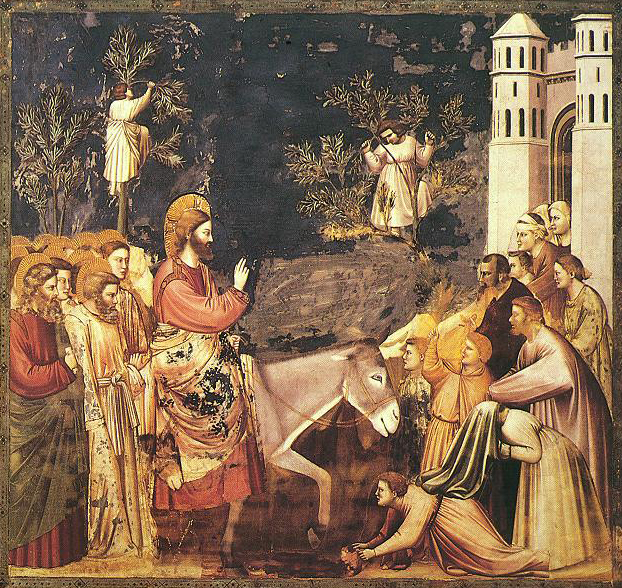 In both Jesus’ first Advent in Bethlehem and His Palm Sunday Advent in Jerusalem we find amazing contrasts. In Bethlehem we encounter this marvelous scene of a multitude of angels shining forth the Glory of God and singing praises to the newborn Savior; Christ the Lord. We have this amazing, magnificent sight, but as our view pans out we see that this astonishing scene is being played out to a field full of sheep and a few lowly shepherds. And we learn that this one they are singing about, the Savior, Christ the Lord, is a little newborn baby boy wrapped up in cloths and lying in an animal feed trough. The angels sing about this baby’s birth, Luke 2:14 (ESV) 14 “Glory to God in the highest, and on earth peace among those with whom he is pleased!” Gloria in Excelsis Deo. Glory to God in the highest. And on earth peace. Fast forward 33 years and we find Jesus riding into Jerusalem. Jesus is coming into place as King of the Jews riding a colt that has never been ridden down the Mount of Olives into Jerusalem. Crowds are welcoming Jesus; they are spreading their cloaks on the road so the colt doesn’t have to step on the ground. This is a majestic scene, the King coming to be crowned. The crowds cry out with an echo of the angels announcing to the shepherds, Luke 19:38 (ESV) 38 … “Blessed is the King who comes in the name of the Lord! Peace in heaven and glory in the highest!” Gloria in excelsis. Glory in the highest. Peace in Heaven. When Jesus came into place in Bethlehem as a baby, the angels announce peace on earth. Now, as Jesus comes into place in Jerusalem to be arrested, killed and to rise again, the crowds announce peace in heaven. It is the full cycle. Peace on earth and peace in heaven. Just like at Jesus birth, on Palm Sunday there are great contrasts. He enters with great pomp and the crowds praising him, but then Jesus weeps over the city knowing it will be destroyed. Jesus is going to be crowned king, but the crown will be a torturous crown of thorns. He will be enthroned, but enthroned in pain and humiliation on a cross with a sign above Him reading, “Jesus of Nazareth, King of the Jews.” On Sunday Jesus rides into town on a colt on which no one has ever ridden. By Friday afternoon Jesus is dead and lying in a tomb which no one has ever used. Jesus’ great glory is revealed in His great humility. There is such a great contrast between Jesus being God Almighty and all the glory and honor and power we expect from that, and the humble reality of Jesus as God in flesh as a baby in a manger, and the harsh, humiliating truth of Jesus as a pitiable tortured figure gasping for breath on the cross. You have experience with these types of contrasts. You are a baptized child of God. You have been given forgiveness, life and salvation. You are in the Kingdom of Heaven right now. Right now you have eternal life in Christ. This is your identity. And yet, as you well know, life in this world is so very difficult, so very sad. There are such struggles in this life. There is illness that attacks your body. There is short term sickness that many experience throughout the year, colds, flu, stomach viruses, strep throat, and there is long term, devastating illness that threatens to destroy you. What a contrast. You have the promise of eternal life, and your body is breaking down and you are destined for the grave. You are a follower of the Prince of Peace and yet you live in a world that is full of conflict and violence. Jesus comes to bring peace on earth and peace in heaven and that promise of peace is for you, but, for now, you live in a world of conflict. One of the devil’s favorite tools to tear people apart is conflict. You see it in families, in school classrooms, in businesses, in government, and in church congregations. Conflict gets in the way of people working together for good and instead has them spend their efforts and abilities in looking for methods to stand in the way and destroy. In this life, conflict will come, but you are called as a follower of the Prince of Peace to calm conflict and help bring peace in this world. As a Christian, called to be salt and light to the world, you are called to live life reducing conflict. You are a baptized child of God, a follower of the Prince of Peace. You have the peace that passes understanding and yet you live in a world of sickness, violence, sadness, death and conflict. Such great a contrast. Heav’n and earth with full acclaim shout the glory of Your name. Truly blest is He who comes in the name of the Lord! You sing the words of Isaiah the prophet and the words of the crowds in Jerusalem on that day of Jesus coming into place. You sing of Jesus being YHWH Sabaoth. The Lord of the heavenly armies. Heaven and earth shout the glory of His name. And then you come forward to the altar of the Lord and you receive the Lord Jesus in a simple wafer of bread and simple sip of wine. What a great contrast. But in these contrasts we gain deep insight into the truth about Jesus. Jesus came as Lord to serve, not to be served. The contrasts we encounter with Jesus coming into place in Bethlehem and into place in Jerusalem give us insight into Jesus’ true character. Glory and majesty are contrasted with humility and sacrifice. The mind-blowing truth is that Jesus is both true God and true man. Jesus is God in flesh. He is the sinless Son of God and He becomes sin to save you. St. Paul gives us a wonderful description of who Jesus is in Colossians 1:15-20 (ESV) 15 He is the image of the invisible God, the firstborn of all creation. 16 For by him all things were created, in heaven and on earth, visible and invisible, whether thrones or dominions or rulers or authorities—all things were created through him and for him. 17 And he is before all things, and in him all things hold together. 18 And he is the head of the body, the church. He is the beginning, the firstborn from the dead, that in everything he might be preeminent. 19 For in him all the fullness of God was pleased to dwell, 20 and through him to reconcile to himself all things, whether on earth or in heaven, making peace by the blood of his cross. The fullness of God dwells in Jesus. The fullness of God comes into place and lies in the straw of the manger in Bethlehem. The fullness of God comes into place in Jerusalem and hangs in excruciating agony making peace by the blood of His cross. The fullness of God is coming in place again to take you home. Christ has died. Christ has risen. Christ will come again. A blessed Advent to all. Amen. Stand firm. Time is running out. The sand slowly, steadily, falls through the narrow opening in the middle of the hourglass and drops onto the large pile of sand below the neck. As you watch, the sand never speeds up, never slows down, it just continues to fall and the sand pile at the bottom continues to grow…ever so slowly. You look up to see how much sand is left, but the top of the hourglass is painted black. There is no way to know how much sand remains. This is the way it is with time. Time for us is not so much hands on a clock going round and round but more like an hourglass with a blackened top. This applies to the time of your life. You can count how much time has passed, how many birthdays you have had, but you don’t know how much more time there is to go. You know that you will die one day, but you do not know if it will be soon, or after a while. 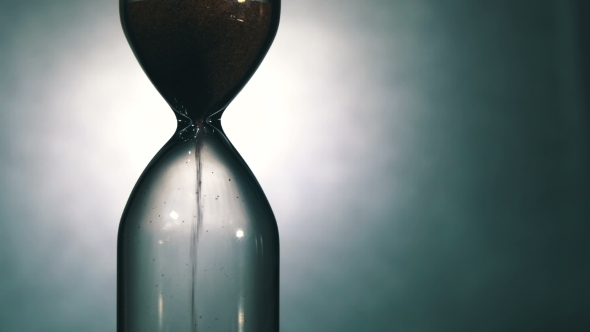 How much sand remains in the top of your hourglass? It also applies to the time of this world. There is a very large pile of sand that has already passed through the narrow neck but you do not know how much more sand there is to come. How long until the last day? There may be only a few more grains, or there may be a tremendous pile of sand still to go. You don’t know when the end will come for you individually or for the world, but you do know the end is coming. You do not know when, but you know it will happen. How much sand is left in the top of the glass? In our Old Testament reading Daniel writes about the time when the sand runs out, Daniel 12:1 (ESV) 1 “At that time shall arise Michael, the great prince who has charge of your people. And there shall be a time of trouble, such as never has been since there was a nation till that time. But at that time your people shall be delivered, everyone whose name shall be found written in the book. At this time the multitudes that sleep in the dust of the earth will awaken from the dead. Some will awake to everlasting life. Some awake to shame and everlasting contempt. We see here clearly that the Old Testament teaches a resurrection of the dead. The time is coming when the sand will run out. The thought of this can cause you to be downcast and frightened. But, on that day, the Archangel Michael will arise and we also find Michael also in Revelation, Chapter 12. Michael cast the devil down from heaven. The devil has been cast down, so do not be downcast. Jesus has conquered sin for you. Jesus has conquered death for you. Jesus has conquered the devil for you. Jesus, the Lamb of God dying on the cross and rising from the dead destroyed the power of the devil to deceive you; Jesus destroyed the power of Satan to accuse you. Do not be downcast. The devil has been cast down. As a baptized child of God you have God’s name watered onto you. God has declared you to be His own. He promises to save you. The suffering, death and resurrection of Jesus have been credited to you. All the sacrifices of birds, and lambs, and bulls at the temple did not take away sins. Jesus takes away sins. Jesus is the once-for-all sacrifice; the Lamb of God who takes away the sin of the world. Hebrews 10:11-14 (ESV) 11 And every priest stands daily at his service, offering repeatedly the same sacrifices, which can never take away sins. 12 But when Christ had offered for all time a single sacrifice for sins, he sat down at the right hand of God, 13 waiting from that time until his enemies should be made a footstool for his feet. 14 For by a single offering he has perfected for all time those who are being sanctified. Jesus, the Lamb of God, has saved you and is sanctifying you; making you holy. Your name has been written in the book of life and on the last day you will be delivered to eternal life. You receive the Body and Blood of Christ to strengthen and preserve you in true faith to life everlasting. In Jesus you have the promise that on the last day you will shine like the brightness of the sky and live forever with Jesus. On that day when the sand runs out, there will be no more sin, no more evil, no more cancer, no more heart disease, no more addiction, no more grief, no more trouble, no more tears. You expectantly pray, “Come, Lord Jesus!” but in the meantime you wait and watch the sand fall slowly through the hourglass of time and you endure the difficulties of this life. Jesus warns about many troubles. There will be arrests and trials and executions. People will hate you because you have the name of Jesus on you. Those who put their faith in the things of this world will hate those who have faith in Jesus. The things of this world will pass away, but you who have faith in Jesus will endure. The disciples spend most of their time in the humble areas around the Sea of Galilee. So these country boys are quite impressed by the magnificent temple in Jerusalem. One of them exclaims, “Mark 13:1 (ESV) 1 … “Look, Teacher, what wonderful stones and what wonderful buildings!” The disciple is awe-struck by the temple which Herod the Great rebuilt and overhauled to become a grand architectural marvel. Mark 13:2 (ESV) 2 And Jesus said to him, “Do you see these great buildings? There will not be left here one stone upon another that will not be thrown down.”  In 70 AD the Romans do just that and destroy the temple and leave it a flattened field of smoldering debris. The magnificent things of this world will pass away. That shiny new car will so soon be a rusty bucket of bolts. That new phone, new computer, new clothes, soon are obsolete and out of style. Beauty and strength will fade. The things of the world pass away. Endure to the end clinging to eternal truth. In the California wildfires over a thousand homes have been destroyed. With horrifying speed the flames transform wonderful houses into piles of smoldering rubble. The things of this life; even our lives themselves, will pass away. There will be trouble. Jesus teaches, Mark 13:6-8 (ESV) 6 Many will come in my name, saying, ‘I am he!’ and they will lead many astray. 7 And when you hear of wars and rumors of wars, do not be alarmed. This must take place, but the end is not yet. 8 For nation will rise against nation, and kingdom against kingdom. There will be earthquakes in various places; there will be famines. These are but the beginning of the birth pains. The devil is angry and is at war against you with his lies and accusations. Hold fast to the confession of our hope in Jesus Christ. Do it together. It is dangerous to try to be a solo Christian because you do not go to war alone. You put on the armor of God and together stand firm against the assaults of the devil because you know Jesus has already defeated him. Endurance through difficult times is done together, as the Church, the Body of Christ on earth. Times are tough. People will hate you and worse. Do not be downcast. The devil has been cast down. He has been defeated. His war against us is only a last gasp of desperation. Stand firm. Keep meeting together, keep watch, endure. The sand is running out and the end is coming. Come, Lord Jesus. Amen.